Loki, the cunning god of mischief and half-brother to Thor, has always been a fan favorite in the Marvel Cinematic Universe. Unfortunately, he met his untimely demise at the hands of Thanos in Infinity War. But don’t worry Loki lovers, the man lives on in the comics. 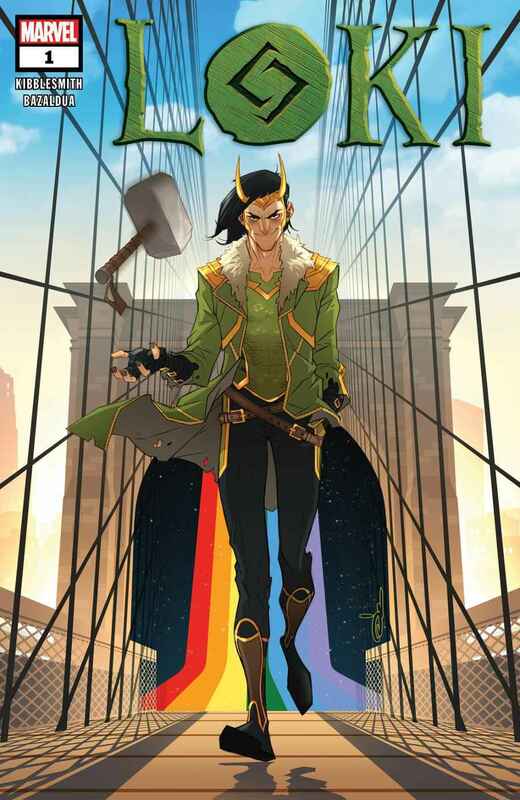 Marvel Comics announced that a new Loki comic series will launch in July. This new series will be a spin-off of the War for the Realms story arc, in which Thor was caught in the middle of a massive war between all the ten realms. Asgard fell, Mjolnir was destroyed and Loki gets eaten alive by his own father, the King of the Frost Giants. Since the new Loki series takes place after the War for the Realms, which hasn’t finished its run yet, it is unclear how Loki survived his death. Marvel isn’t telling, so we’ll just have to read it and find out. Today is International Women’s Day, and I think its fairly appropriate to give some props to some of the most inspiring women from comic books. These are women who—with or without superpowers—inspire young girls (and those of us who are still young at heart). Real heroes are those who are willing to sacrifice everything for the betterment of others, those who are strong, and brave, and have heart and hope through the darkest of times. These are just a few of the endless inspiring women who encompass these ideals of heroism… and a few of their most iconic, empowering quotes! Honorable Mentions include Okoye, Zatanna, Scarlet Witch, Poison Ivy, Sharon Carter, and Valkyrie. In truth, there are too many heroes to count! Featured Image Made With Photoshop. There are many different ways to enjoy Marvel comics. You can watch the films or cartoons, play one of the many video games or just be old-fashioned and pick up a comic and start reading. Even with Marvel mania sweeping the country, there are still some people who don’t have time to follow up on their favorite superheroes. Serial Box might have the solution to that. For those that don’t know, Serial Box is a digital publishing company that specializes in “Serials”, long-form stories that are broken up into 10-16 individual installments similar to a television series. Once you sign up, you can subscribe to your favorite series for a small fee and get access to new instalments as they are released. Marvel announced that it is teaming up with Serial Box to produce episodic content based on some of its famous superheroes. Stories centered around Thor, Jessica Jones and Black Panther are in the works, with the Thor story being the first to come out. The stories will be available in both print and comic versions. CEO of Serial Box, Molly Barton, expressed her excitement for the upcoming partnership. Will you subscribe to Serial Box for Marvel content?